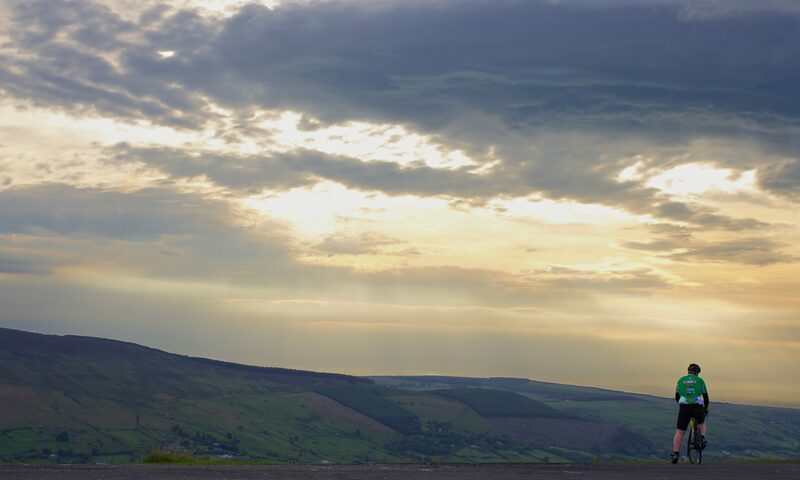 Rule 163 of the Highway Code is a strong topic for many cyclists. It deals with how you should overtake one when on the road. More often that not overtakes are good but sometimes they are appalling and leave cyclists in a position they wouldn’t want to be in, being forced into the kerb. This image is great, it shows roughly where a cyclist should be on the road, around 1 meter from the kerb. This gives the cyclist space to avoid pot holes and keeps them away from the drain covers. Note the cyclist is wearing practical clothes, and has safety gear, these are not required but are a good image to portray. The driver has moved fully into the other lane, indicating and clearly giving the cyclist plenty of space. I very rarely get an overtake like this, but when I do they stick in my mind. 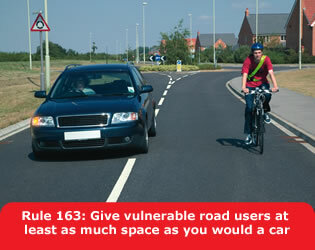 The only problem I have with rule 163, is the strap line under the image ‘Give vulnerable road users at least as much space as you would a car’ this implies that it is fine to overtake a cyclist with inches of room, because the driver does the same to a car. If the drivers are aggressive when overtake other cars, they are technically doing nothing wrong when they do the same to cyclists with this in view. I’ve had a few people do what is considered a proper overtake and I’ll normally try and give a wave of appreciation. The caption should say “should”, not “would”. Maybe it was meant to say ‘Follow the same path as you would have to if overtaking a car’.